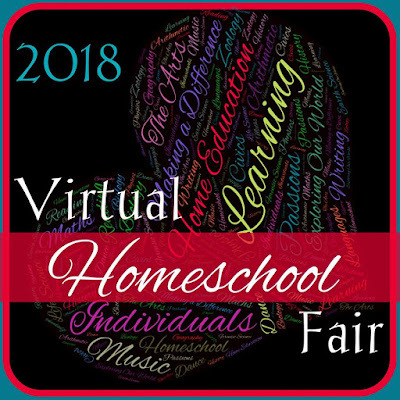 Welcome back for the second week of the Virtual Homeschool Fair, graciously hosted by Susan @ Homeschooling Hearts & Minds. This week we are all talking about how we homeschool. This covers a broad range of topics from schooling methods to organization. 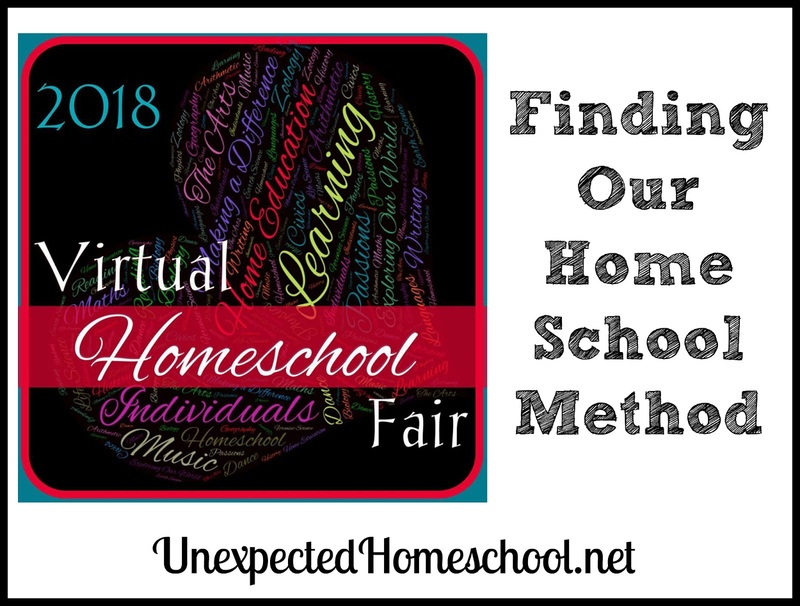 I'm going to talk about how we came our homeschool method. I'm homeschooling our only child, Amber, who is now at the midway point of 10th grade. We've tried several educational methods over the years before coming to what we use now. I guess the broad term for our educational style now is eclectic. A more detailed term might be: classical wannabe, adaptable, language heavy, eclectic education. How did we get to where we are? When we first started homeschooling in January of fourth grade, we basically were doing school at home out of necessity. It was a rather quick decision to pull Amber from her parochial school, and we were not entirely prepared. However, I did have a copy of all of her current fourth grade text books, which made a great place to start. It didn't take long to start replacing curriculum and doing things are own way. Still, for that first semester it more fit the school at home style than anything else. By the time Amber had started fifth grade, I had done more research and felt like I could branch out a little bit in our method. We never used a complete box set, but I did use quite a few resources from BJU. It suited us for the moment. Eventually during fifth grade we began moving to a more eclectic style, as I learned how Amber best learned. We tweaked constantly, or at least it seemed that way. During fifth grade I read The Well Trained Mind and decided this definitely suited me and I thought Amber would do well with it too. We began migrating over to a classical style of education for sixth grade. Although it had more work to it, the style definitely worked better for Amber and I enjoyed it more as well. Unfortunately, it was during this time period that Amber's dysautonomia worsened / became a visible problem. The rigors of a classical education were honestly too much for Amber in her frequent dysautonomia and EDS flares. Once it became clear that Amber could not keep up with our prescribed lessons, I had to adapt her schooling method once again. This was heartbreaking for me, because I was so invested in the classical method. Amber had enjoyed the classical style, but mostly she felt sick and didn't really care what we were doing. I decided to lessen her load some and go with a mostly-classical style, or classically influenced style. We even tried adding project-based learning with the classical style, which sorta worked for a while. Amber enjoyed some of the projects, however her energy levels did not allow for her to be project based all the time. Many days we would do her limited reading assignment and skip the project, even if I had purchased all of the supplies. You simply cannot conjure the energy or enthusiasm for a project when there is barely energy to sit upright. After a year of trying to make the classically influenced style / project-based classical work for Amber, I finally had a realization that we were doing the classical method for me. It is how I learn best. It may have been a great method for Amber at one point, but not any more. Amber was also back in occupational therapy for her sensory processing disorder, and all of the other issues she has as a result of EDS and dysautonomia. Her therapist is a wonderfully patient lady, who truly works with us as a family to find the ways for Amber to best function, including educational methods. Through information provided to us at occupational therapy and neuropsychology, I began to see Amber's needs more clearly. No one method is going to work for Amber in all subjects. She is extraordinarily gifted in languages, but has slowed cognitive processing in mathematics. Science is interesting to her, but the math will hold her back every time. Anxiety over slowed cognitive responses plays a huge factor in Amber's daily lessons too. Reading on electronic devices is a no-go for Amber; she needs a more tactile experience in order to retain and comprehend what she reads. Reading for information also drains her body of physical and mental energy, so huge amounts of reading for multiple subjects is not going to be successful. In time, I've learned Amber needs a highly individualized and adaptable approach to each subject. She loves to study languages and we are rather fond of Memoria Press for the classical languages of Greek and Latin. In fact, Amber loves their curriculum. For math we've had to leave main stream topics after algebra 2, and it requires that I am very hands on with Amber for every lesson. I shorten the assignments and almost always have to re-word the lessons in terms that make sense to her. We've deviated from the standard science path to special topics that interest Amber, without using more than simple math. History has gone back to a textbook with chapter questions and the occasional project. Amber's daily focus, though, is on English writing, literature, grammar, and foreign languages. Now we are back to almost where we started, a highly eclectic method using curriculum that can be adapted to abilities that change with her health. However, this time it is based on my student's rather diverse needs instead of indecision on a method, or choosing what looks shiny and pretty in the moment. It took time, nevertheless I finally learned how to evaluate curriculum based on Amber's rather fluid cognitive needs, rather than on how I learn or even teach best. That's how we found our current homeschool method. Please take a look at how the other participants homeschool their students. I kind of wish we could know from the beginning what we learn over the years. It sure would save a lot of money! But I think our needs change as we grow, so I probably would have had a panic attack if I tried to do what I do know 13 years ago! One of the beauties of homeschooling - being flexible and adaptable as your needs change! I think it's very cool that you have managed to discover what works best. I love seeing how you progressed through the styles to find what worked for you! We all have to be adaptable! !